“Bee Princess” is a very special pin! 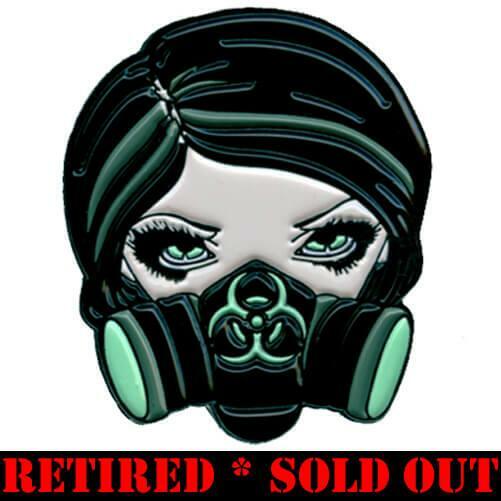 We are giving her away for FREE with every $25+ order here at Strangeling.com in celebration of our 21st Anniversary. Yes – July 2018 marks the 21st anniversary for my Strangeling website – can you believe it? 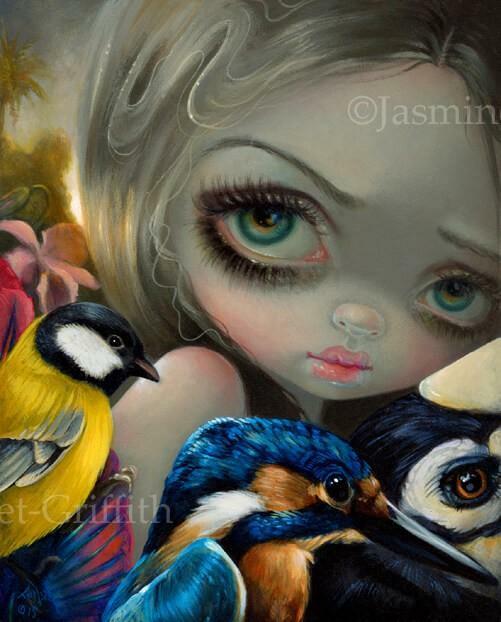 This little sweetheart is a darling little bee fairy with a cuddly bumblebee friend. 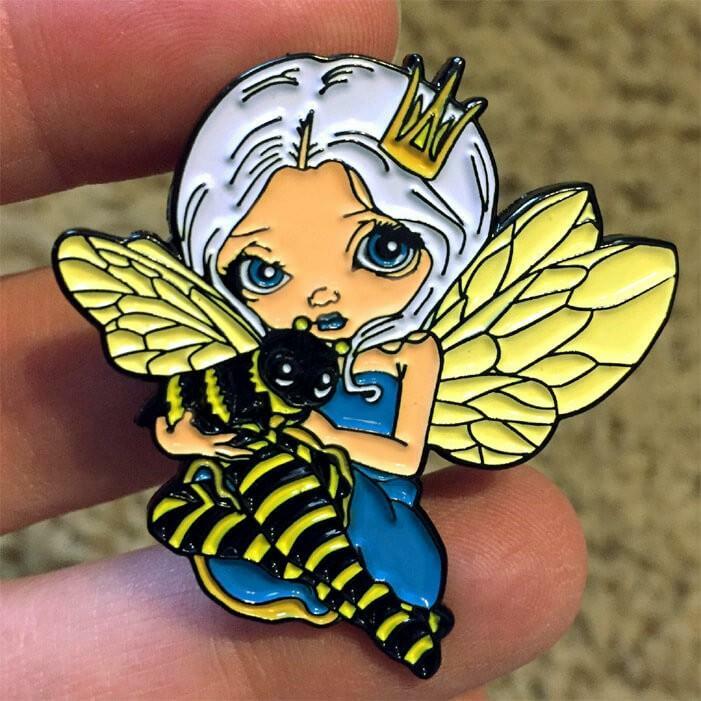 Again, all orders over $25+ that are placed through Strangeling.com for the month of July will receive a free “Bee Princess” pin, while supplies last. You don’t need to add her to your cart or do anything special, we’ll add her to each package we send in July until we run out, starting at midnight as soon as it turns July 1st (based on midnight Eastern Time overnight between June 30 and July 1)! 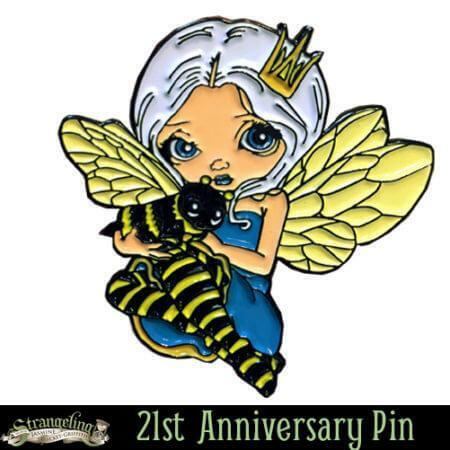 Please note – part of the reason I have created this Bee Princess pin is to help benefit the bee-savers at Garden for Wildlife! If you share this page or link or image on Twitter, Facebook, Instagram, etc. be sure to tag @beesponsible and use the #dontkillmybuzz and the National Wildlife Federation will get $1 for each mention specifically to help save bees!!! So please, share and use the tag & hashtag – it’s easy and helps spread the good word.